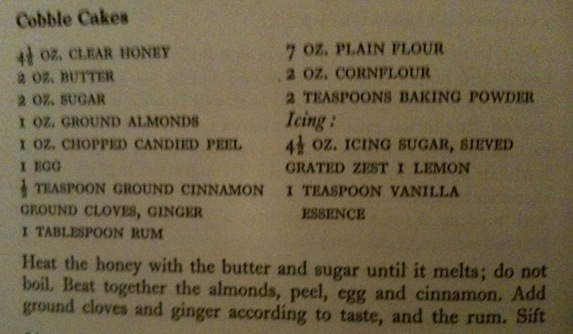 This entry was posted in 1970s, Audrey Ellis, Kitchen Garden Cook Book and tagged baking powder, butter, candied peel, cinnamon, cloves, cornflour, ginger, ground almonds, honey, lemon, plain flour, rum, sugar, vanilla extract. Bookmark the permalink. There’s a story of a good wifey trying to produce the ideal version of a much-loved family dish her spouse ate as a child. She never got it right, until one day she forgot and left it in the oven long after the official cooking time, and achieved perfection. 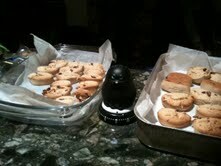 Darker biscuits preferred? What’s new?